Do you ever just wonder WHERE TO START in homeschooling? What can be the basis for all of your learning? 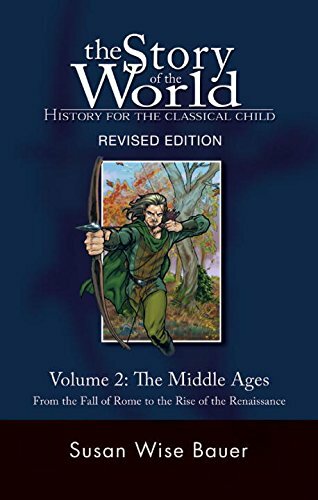 The Story of the World has been an integral part of our homeschool over the years - and served as the spine for our homeschool for many years. 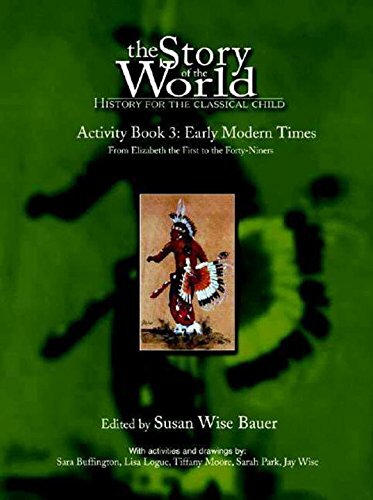 I want to share how we use this basic history text and activity guide as a spine for learning in our homeschool. Along with those two things I got just a bit creative, did some research, and came up with engaging, memorable, and fun activities for my children. 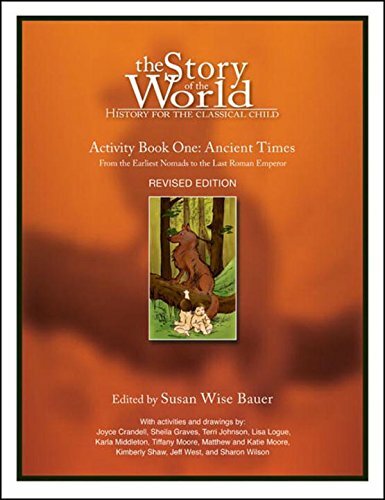 Yes, we used the Story of the World at points for supplemental reading, listening, and just for fun, but his post will address how we used The Story of the World as a spine for learning in our homeschool. The Story of the World was always a wonderful SPINE for all of our other learning. I pulled read-alouds, music selections, art study, science, and other subjects from our activities in Story of the World. 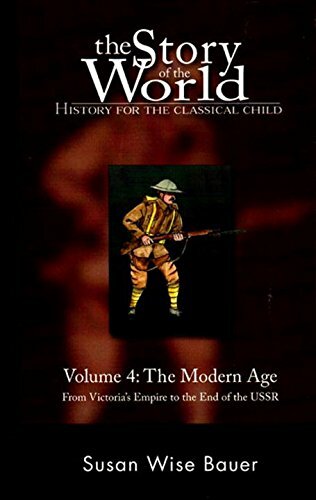 If you are on the beginning of your homeschool journey, or have never read The Well Trained Mind, I HIGHLY recommend this book. I read it before we started homeschooling and it shaped my philosophy then and continues to do so today, as well. 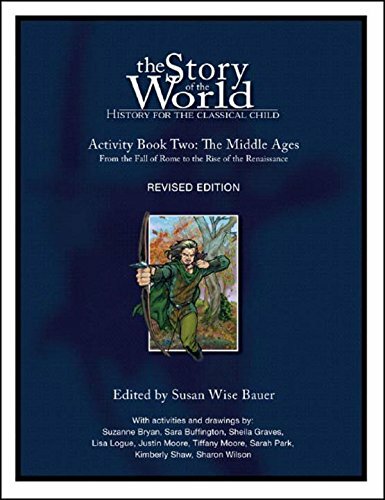 The Story of the World presents the history of the world in a chronological manner that makes SENSE. I could see my children (and me!) 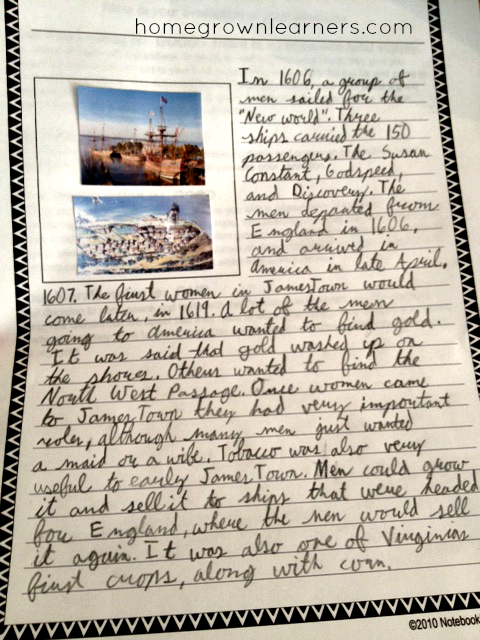 learn about new events in history and relate them to many other events they have learned about in SOTW. They are learning history isn't isolated. Everything is connected. Our story (which I think is very similar to many other homeschoolers) is simple. I was schooling my children at home without the aid of a co-op or structured program we would attend each week.I wanted a history curriculum that incorporated LIVING BOOKS, HANDS ON ACTIVITIES, and A CHRONOLOGICAL PRESENTATION. We began with Volume 1. Fast forward 5 years and we made it through Volume 4. We stop at points that are interesting. Sometimes one chapter will take us an entire week (or two). We spent several weeks studying Robin Hood in a delight directed way. What fun that was! It was all inspired by an edition of the book recommended in the SOTW Activity Guide. I know we have TIME, and as long as my children's interest is there I'm not worried about completing the volumes in a certain time period. 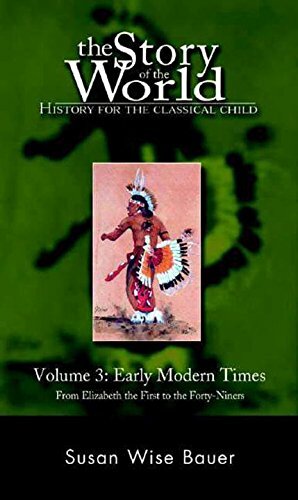 In this post I will use Volume 3 - Early Modern Times as an example. I think this is because it was my personal favorite of all 4 volumes. I always purchased the book and activity guide. We pull most of our read-alouds and activities from the SOTW Activity Guide. It's important to note I didn't do anything fancy. We notebooked through the activity guide (more on that in a minute) and I chose some of the suggested read-alouds to share with my children. Take, for example, the above example from Chapter 3: James, King of Two Countries. The student pages (included in the activity guide) include mapwork, coloring pages, and other activities. 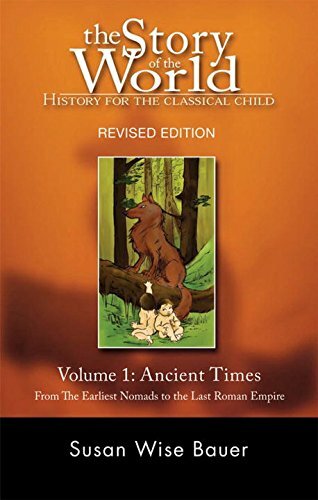 Read the chapter aloud - have children take notes (more on that in a minute! ), do narration questions and mapwork suggested in the guide. We might also consult the Kingfisher History Encyclopedia to see what it has to say about the events presented, too. My son (who is 8 and in second grade) builds LEGO creations to along with our chapter, colors a coloring sheet from the activity guide, or draws while listening to the chapter. I require my daughter to take more extensive notes since she is middle grades now. Throughout the course of the week we had read-aloud to go with our chapter. This particular week it was Blood on The River, an excellent living book about a page working for Captain John Smith. I also know that Handel was living at this same time in Europe, so we completed the Handel lesson from SQUILT Volume 1. We also had a book of Isaac Newton activities and chose a couple that interested the kids. One night we sat as a family and watched Nightmare in Jamestown on Netflix. We read passages from the King James Version of the Bible. You get the idea. Anything related to this period of time we were researching and enjoying. Use your imagination and let your children be your guide, too. Yes, it took some legwork on my part. But, it's a lifestyle of learning that I believe is worth it. The activity guide does a lot of the research for you, though, and after a while I came to enjoy the research. I am learned so much about history. If you aren't familiar with notebooking, I would like to recommend my friend Jimmie's post: Getting Started With Notebooking is a great post to help you understand what it's all about! When I put together the Volume 3 notebooks for my kids, I did the .pdf download of the student pages. Yes, I still ordered the physical Activity Guide (for the teaching notes and activity suggestions), but downloading the student pages allows me to print them for my kids, and only print what we need/want. It also keeps everything on the up and up with copyright. Both of my children keep extensive history notebooks. They look back on them with pride and joy. It is something we will save for years to come. This video might be helpful to you as you notebook through the curriculum. My membership to Notebooking Pages has been such a tremendous help with notebooking. There are templates for every single event in history you can think of. There are blank templates that you can print and have the child customize. And, I don't even have time to go into how awesome the Notebooking Publisher App. is. 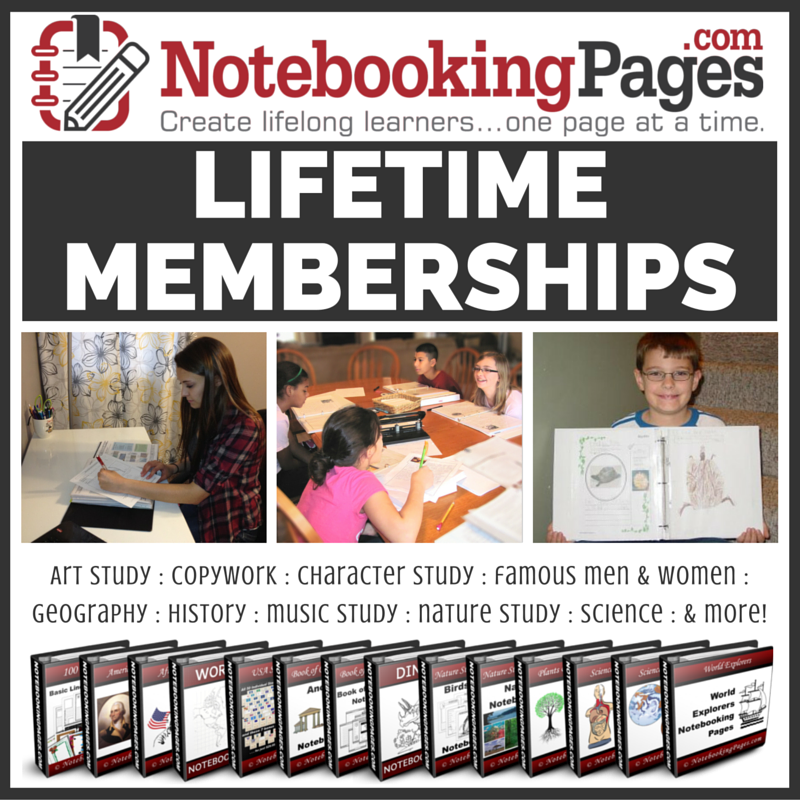 If you are considering using SOTW as your history curriculum, I believe the investment in a Notebooking Pages Membership is WORTH IT! I have printed country pages, animal pages, and so much more - all to go with our studies in Story of the World. There are timeline pages, book of centuries pages, and pages to go with each era in history. If you need a notebooking page, Notebooking Pages has it. I promise. And if they don't, they will most likely make one for you upon request. 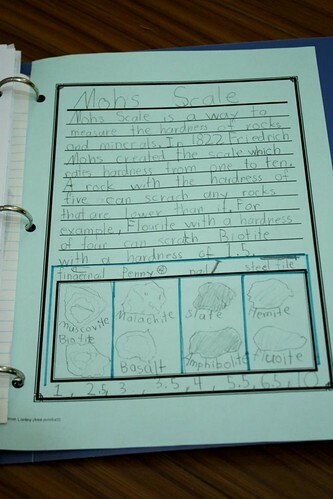 Here is a simple lined notebooking page I gave my daughter after our Jamestown chapter. She narrated back from the chapter and did a beautiful job. She also completed a "Modern Times" notebooking sheet (I require one of these for each chapter! ), which helps her take notes during the chapter. Do you see why I love Story of the World so much? 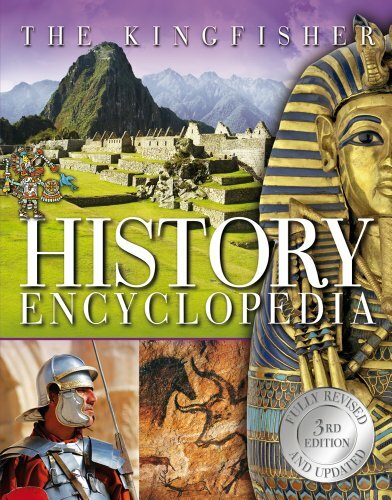 In the very first chapters of Volume 3 we were learning about the Incas in Peru. My son latched onto this. I was able to print a map of South America, and make another page all about Llams from the Notebooking Publisher Web App. We had a science study about Llamas for a week and it was such fun! 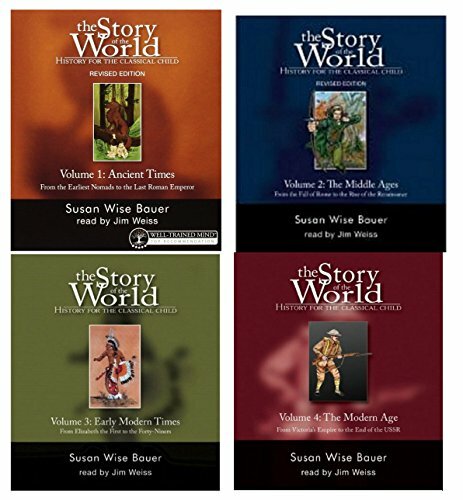 If you're looking for a neat and simple history curriculum, The Story of the World is it. You can do as little or as much as you want with it, and it is customizable for a wide age range. 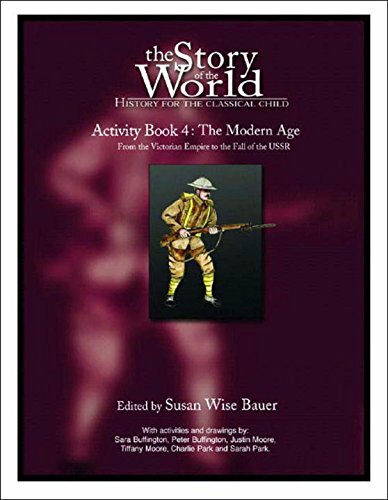 *Note: Peace Hill Press publishes The Story of The World. I did not receive any compensation or product for this post. I just love this curriculum and it has worked well for my children.